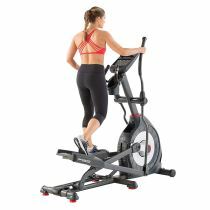 Is there a fab elliptical in your local gym that inspired you to buy one at home? Show us a photo - it's great to see different gyms round the world! 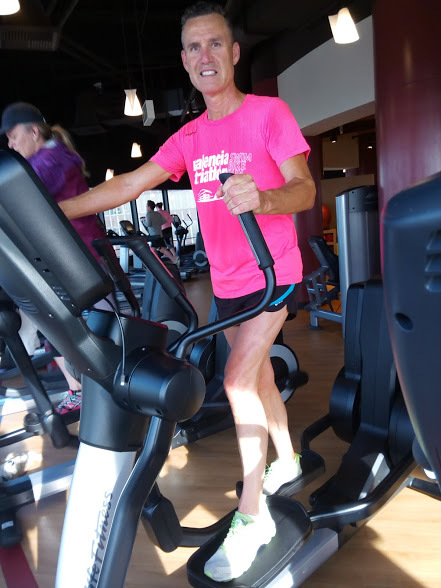 Ellipticals Round the World - Back to Basics! 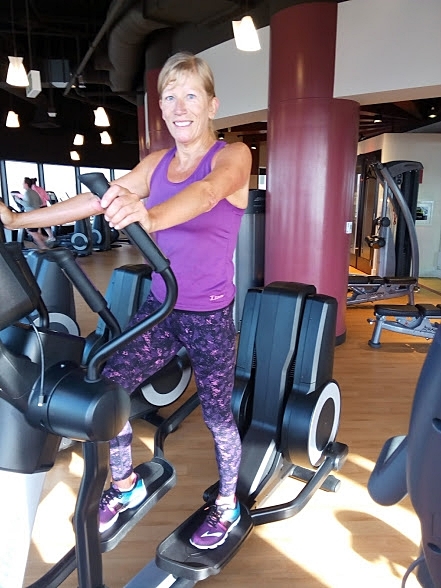 To start things off I'm including a fun photo of me training on the most basic elliptical trainer you'll find - do you have one similar in an outdoor gym in your part of the world?! 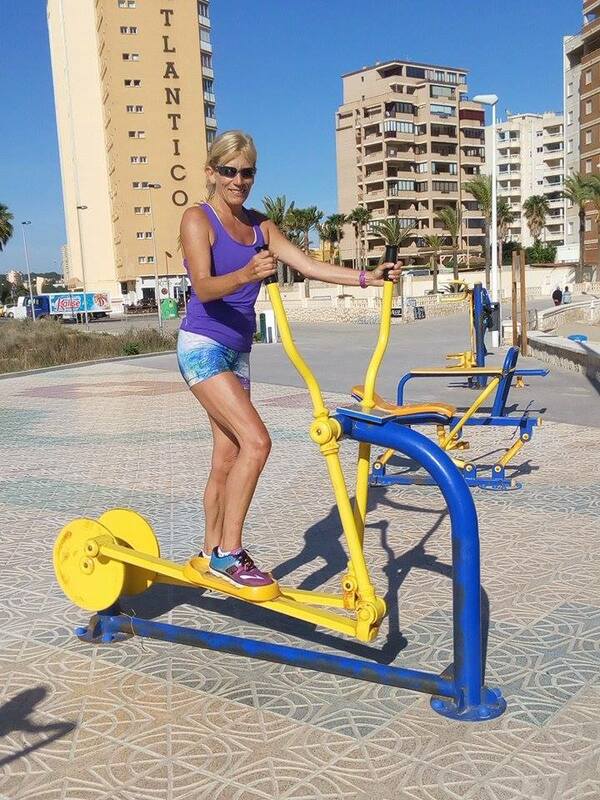 This is me having a quick elliptical workout, mid-run, at the outdoor gym on the seafront where I live in Calpe, Spain. 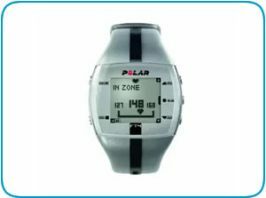 This is a super basic trainer but you can still get an effective cardio workout. No gadgets or high tech features, of course, but hey what an awesome view of the beach and the Mediterranean Sea! 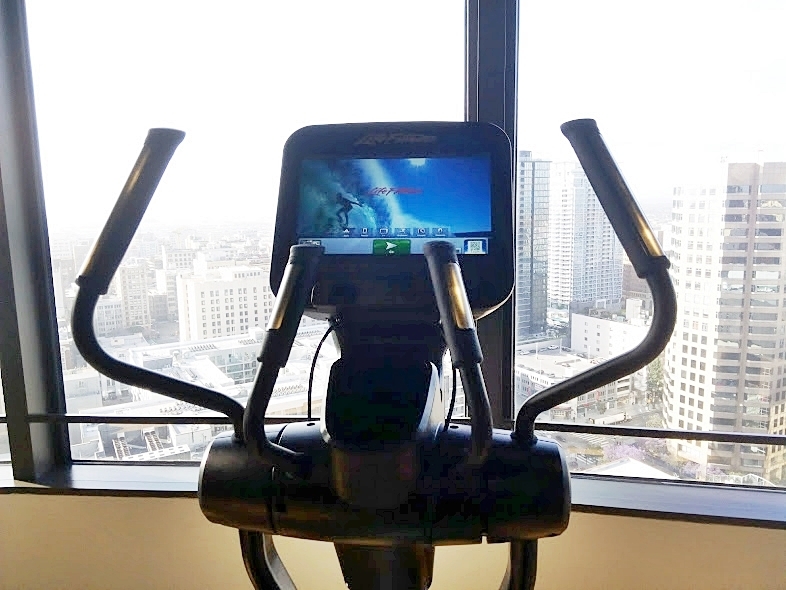 Working out in the LA Sheraton top floor gym! 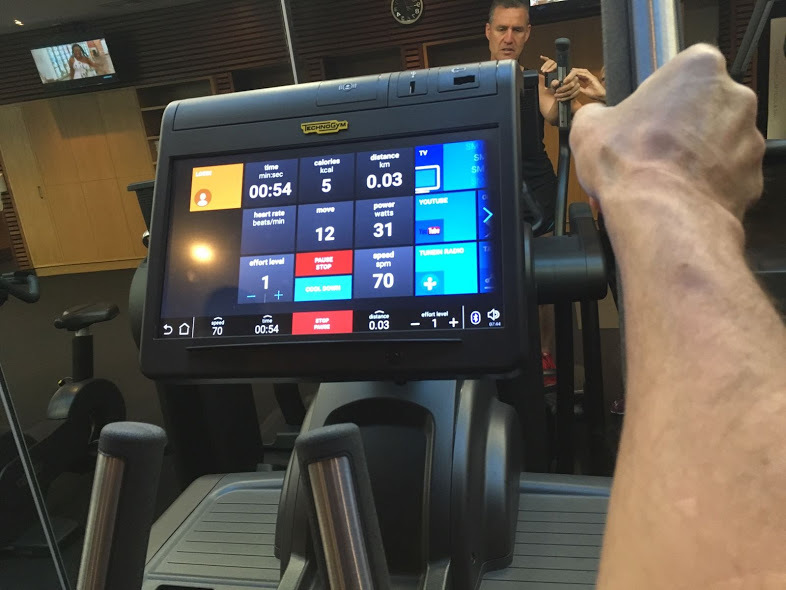 Here's me and my partner Richard working out in the Los Angeles Sheraton Gym on their Life Fitness ellipticals. 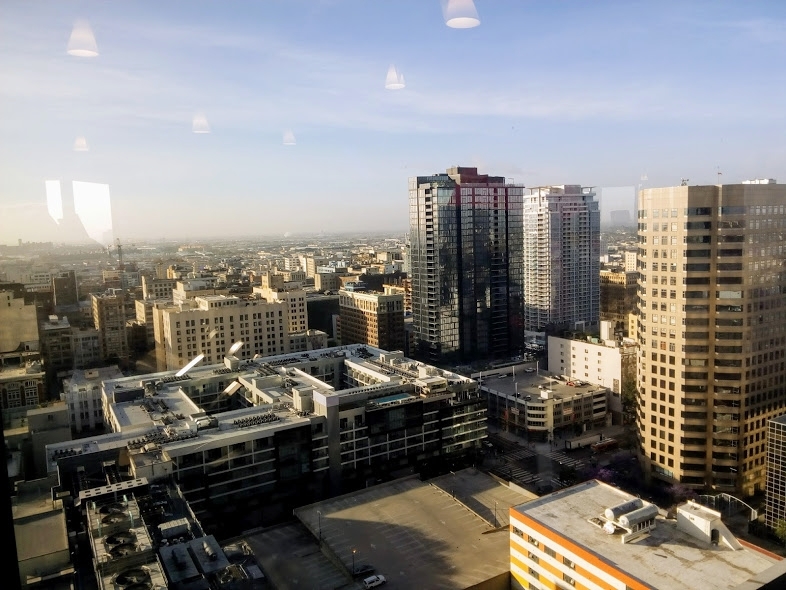 What an awesome view from the top floor gym over downtown LA! Have any readers been to this hotel and tried out the gym there? 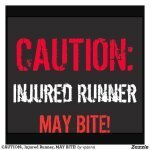 This was just before we headed to Big Sur California for the marathon last year. 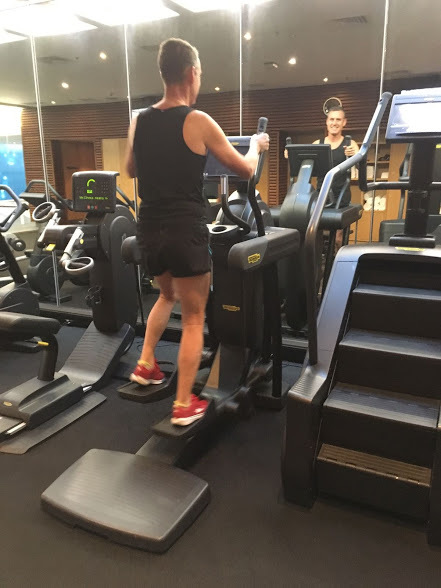 Ellipticals round the world - down under! 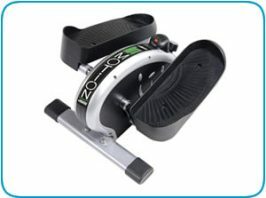 So, we're touring New Zealand and Australia at the moment and of course checking out any elliptical trainers we find! 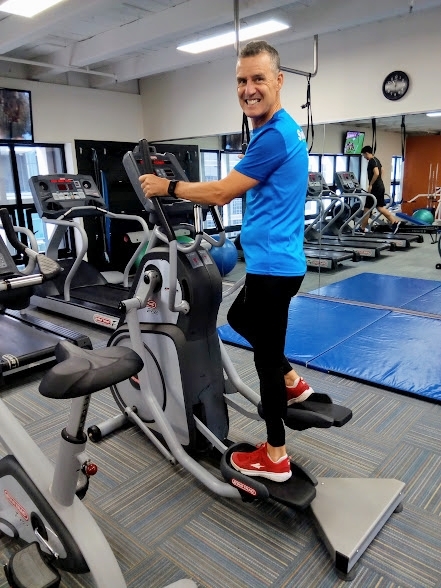 Here's my partner Richard on a TechnoGym Elliptical in the SkyCity Grand Hotel, Auckland, New Zealand on the 18th floor. This machine had a bit of a weird motion to it that took some getting used to. 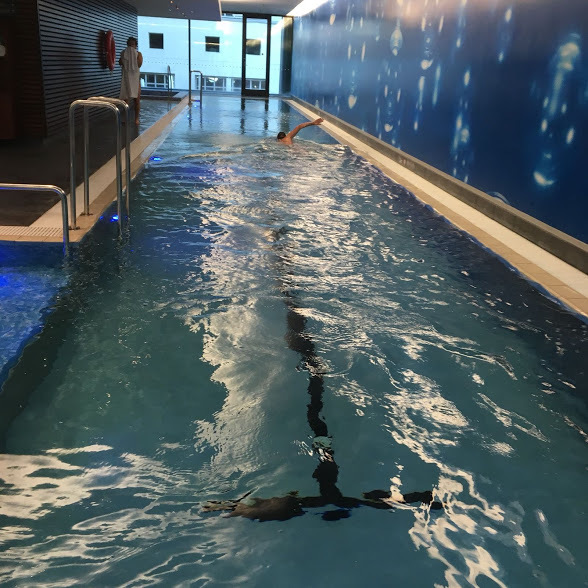 We took advantage of the lap pool too for a bit of swim training. 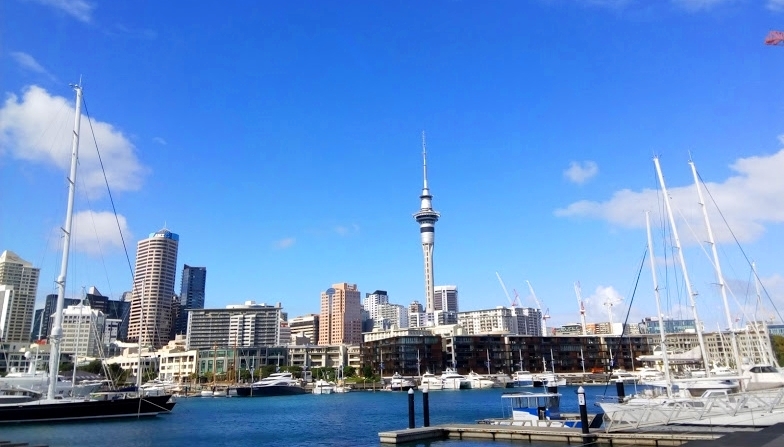 So after a great time touring Australia and visiting the Commonwealth Games on the Gold Coast we are back in Auckland at the Crowne Plaza Hotel checking out their gym! Here's Richard on the elliptical there and a pic of the track at the Games - our England cheers were a bit out-numbered by the Aussies! 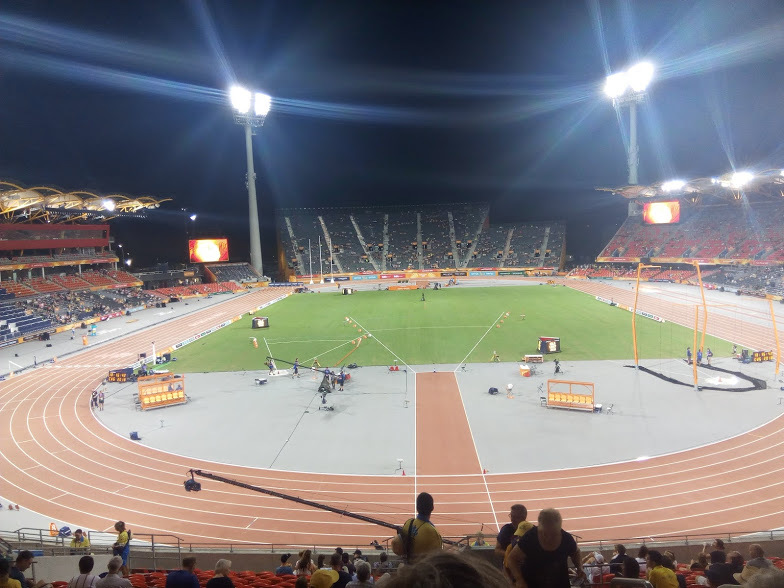 The Commonwealth Games Athletics Stadium! So here's YOUR CHANCE to tell the world your story - just enter your details in the form below, upload your picture/s and click the SUBMIT button - it's as easy as that! 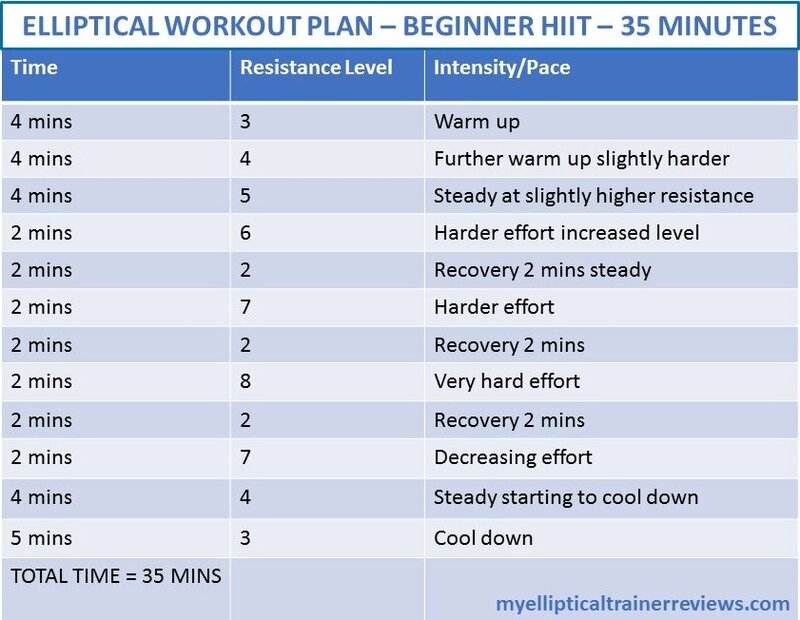 Have you had a great elliptical workout? 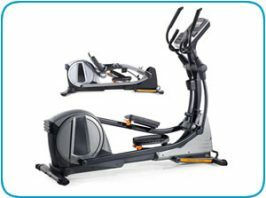 Share your story, tips, review and tell us your experience of ellipticals round the world!